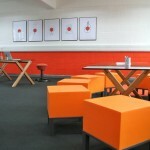 Some of the more recent commercial spaces I have designed or re-designed have included these 3 design and art studios. 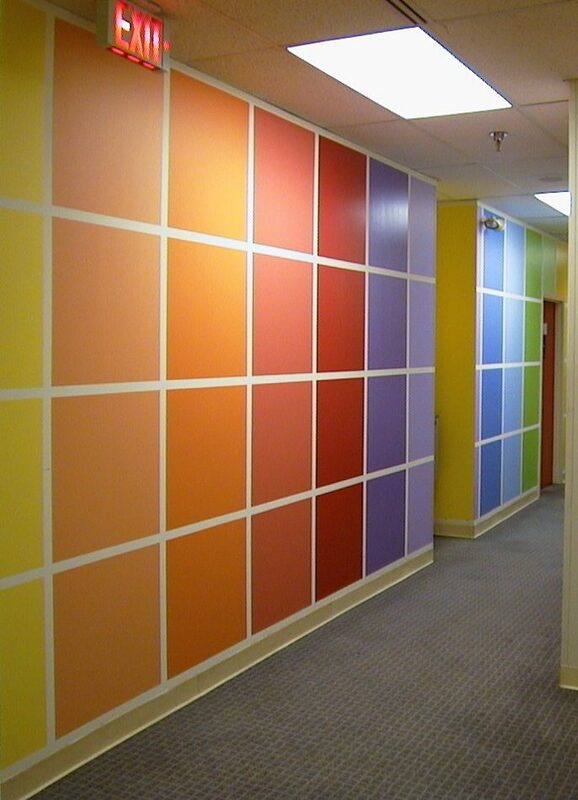 The first is a hand-painted chromatic mural that wraps all the way around the Design Services Studios at the corporate headquarters for Crayola, the crayon manufacturers, in the U.S. The second and third is the Centre for Design Innovation’s offices at IT Sligo. I incorporated their branding and identity (created by Carton LeVert) into their environment and added comfortable and flexible furnishings. 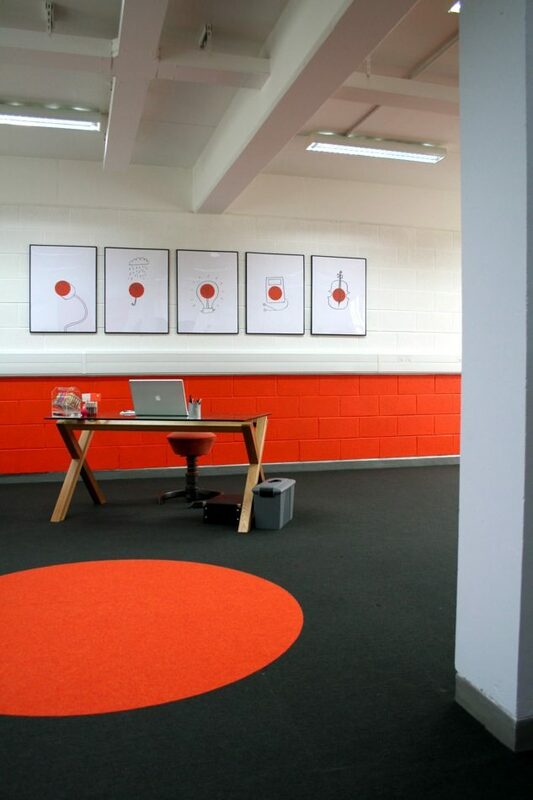 This allowed the space to operate as an office, presentation, meeting and workshop space as well as a design studio. 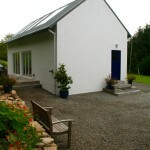 The forth is the studio that I recently designed and built for myself in County Sligo – a dream come true! This entry was posted on Saturday, February 9th, 2019 at 19:20	and is filed under For Peace and tagged with Architecture, crayola chromatic mural, studio design. You can follow any responses to this entry through the RSS 2.0 feed.